This is a series of posts we’ll be making about saving space in your facility. There are plenty of ways to better utilize space, and some of them might fit your circumstances while others certainly won’t. In today’s challenging business climate, it is particularly critical to use space wisely in your facility. The costs involved for utilizing it, from logistics to multi-facility management, to relocation fees make it important to utilize your current space for as long as possible, and as efficiently as possible. 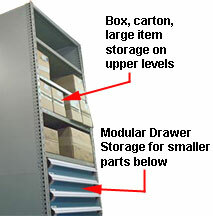 “Modular vs. Static Storage” helps to outline some of the advantages of using modular cabinets or modular drawer inserts into shelving rather than using shelves and bins. If you’re squeezed for space, and the load is right (components, hardware, small parts, tools, or other items), you can save tons of space. That’s due to the compact storage density in these drawers as compared to a bin on a shelf. Shelves can’t really use all of their surface area to full effectiveness. Shelving upper levels and the rear of shelves are hard to see and reach, and often wind up unused, using up space and making picks harder to execute. Open shelves and bins are inherently unsecure. 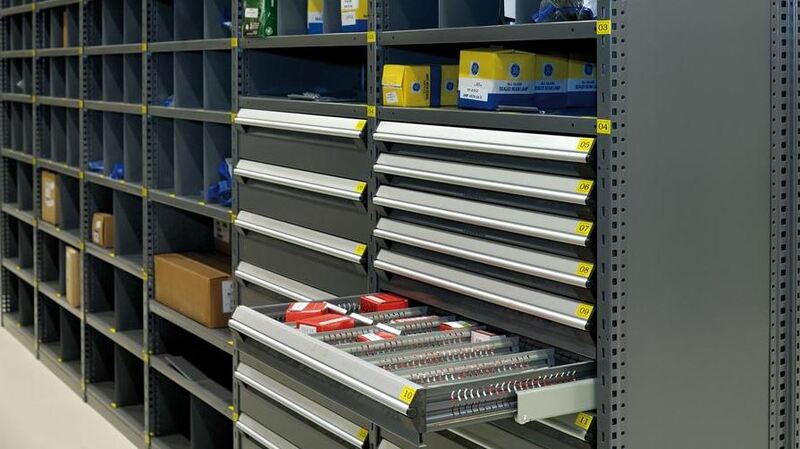 Drawers are lockable and provide easier access control, so if you have particularly valuable tools, components, or other items that are vulnerable to pilferage, drawers can add a layer of secure storage. While not every load is suitable for modular drawer inserts, many items are, and if you want to clear half or more of your storage space, it’s one good alternative. You can use your existing shelves and add drawer storage as needed, either to the entire system or to parts of it for strategically placed modular storage, you can utilize shelving with drawers inserted, or you can utilize modular drawer cabinets, all depending on your needs.